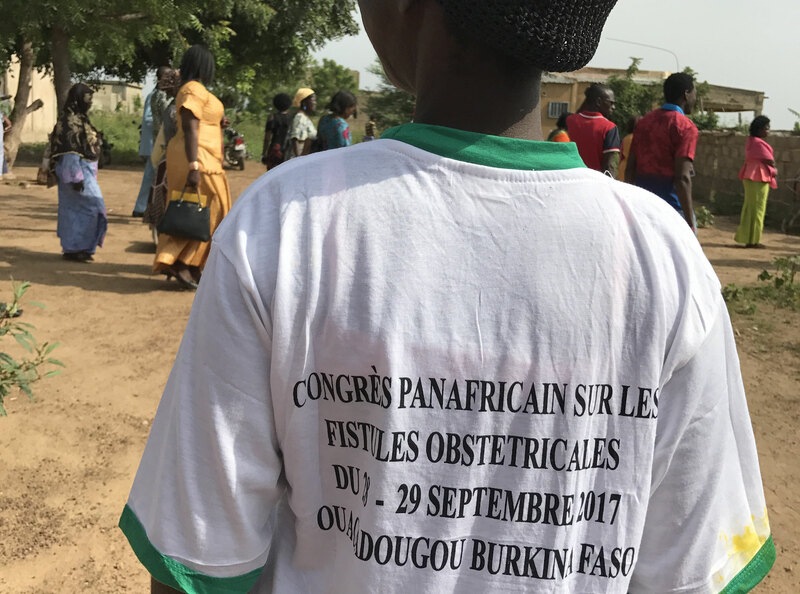 Rasmata Kabré, the founder President of BPW Ouagadougou, BPW Project Leader Combat against Fistulae Obstetrical and Chair of the Fondation Rama organized in Ouagadougou on September 28/29 2017 her second Congrès Panafricain sur les Fistules Obstetricales. 300 participants from different countries attended the event which was introduced by the First Lady of Burkina Faso, H.E. 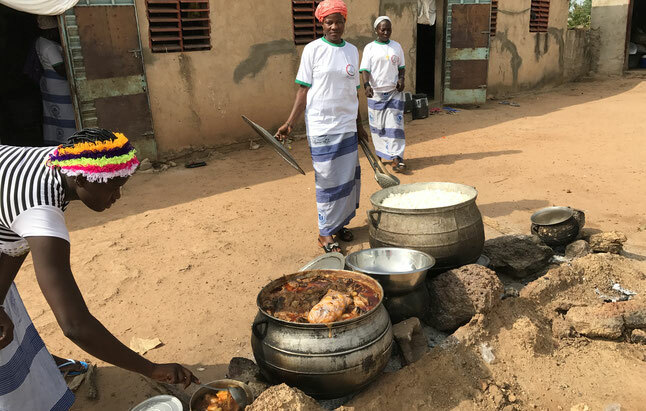 Sika Kabore. The members of the new Club BPW Ouagadougou Solidarité were in charge of the organization of the congress and did an excellent job. Part of congress program was a visit of the large complex of buildings which hosts 200 Women suffering from fistulae obstetricales. 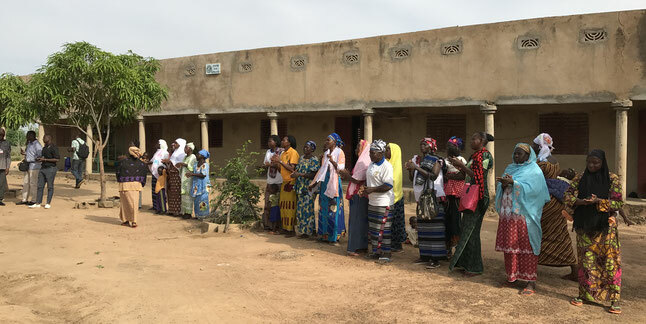 These women are waiting for their surgeries, are in recovery and supported to reintegrate into their society. 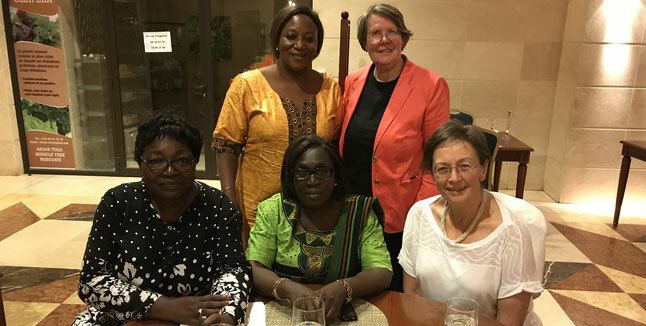 Front row from left to right: President of BPW Ouagadougou Solidarité, Claire Marie Kabore, Rasmata Kabré, founder President of BPW Ouagadougou and BPW International Executive Secretary Prof. Dr. Catherine Bosshart. The day after Congress the new Club met and listened to presentations about “BPW International” of Prof. Dr. Catherine Bosshart, Executive Secretary of BPW International and “Emotional Intelligence” of Dr. Antoinette Rüegg, Past President BPW International. The new Club is very dynamic and several members will attend the international Congress in Cairo.